Virginia Gov. Bob McDonnell announced Tuesday that the Virginia Department of Transportation will install a high-tech active traffic management (ATM) system on Interstate 66. The ATM will cover a 34-mile stretch of Interstate 66 in northern Virginia from Washington, D.C., to Gainesville. The advanced technology will allow drivers to see new dynamic messages and lane control signs, which will alert them of delays, accidents and travel times, as well as give directions on merging traffic and usable lanes to ease transition traffic. Additionally, the ATM will allow first-responders to clear incidents more efficiently by providing more accurate road monitoring information. "We are bringing the next generation of traffic management to one of the most congested corridors in the Commonwealth of Virginia. 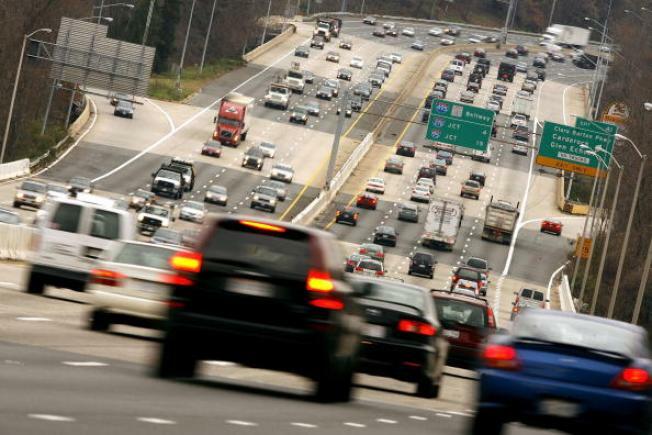 Conditions on I-66 in northern Virginia demand the deployment of this innovative technology, and commuters will benefit from improved safety and increased communication during incidents and congestion," McDonnell said during the ATM announcement Tuesday. Several automated tools will be used for significant reductions in speed limits as drivers approach areas of heavy traffic, construction zones, special events, etc. These tools include advanced lane-control signals, queue warning, adaptive ramp metering and speed harmonization strategies. "The use of electronic signs is a key element of ATM," VDOT Commissioner Greg Whirley said. "The signs will be lane-specific and closely spaced so that drivers -- and emergency responders -- are constantly informed about traffic conditions and are provided guidance on how best to proceed." Design and installation will begin this spring with the construction of six emergency pull-off areas inside and outside the Capital Beltway. Lane-control signals and queue warning systems will be installed every half-mile on the most congested area from I-495 to Route 29 in Centreville. Construction of the $34 million system will be complete in early 2015.